This is a guest blog by Felicia Kamriani. On March 7, 2017, I was invited to speak to students and teachers at the UNESCO YouthMobile event in Doha Qatar. 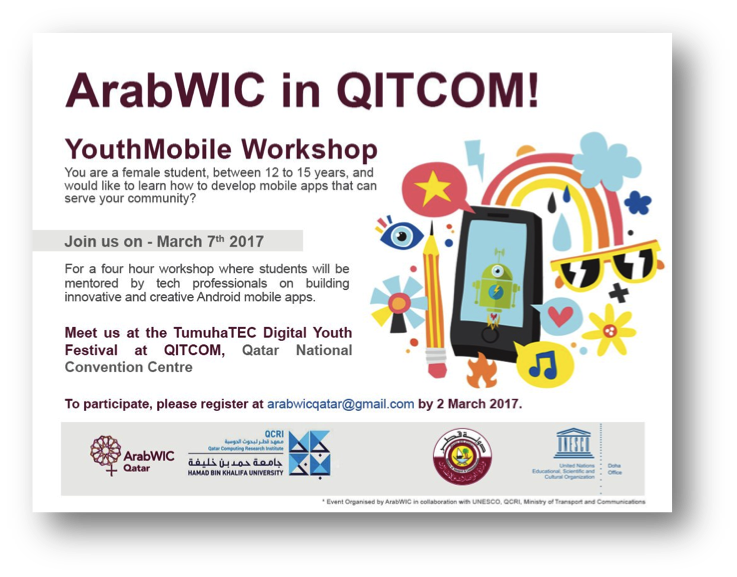 YouthMobile was part of TumuhaTEC’s Digital Youth Festival at QITCOM 2017, Qatar’s biggest digital Expo. Qatar’s Ministry of Transport and Communication and Ministry of Education created the Youth Festival to introduce students ages 8 and up to innovative digital technologies and provide an interactive space for exploration. In addition to a series of inspiring Tech Talks center stage (which included 15 year old serial inventor Fatima Al Kaabi) students engaged in hands-on activities throughout the hall including: building Lego robots, testing the capabilities of 3-D printers, collaborating in the digital productions, racing remote control maker cars, and designing mobile apps with MIT App Inventor. Noticeably present were zones for “girls in tech” to welcome and encourage girls to participate in various digital opportunities both on site and in society. 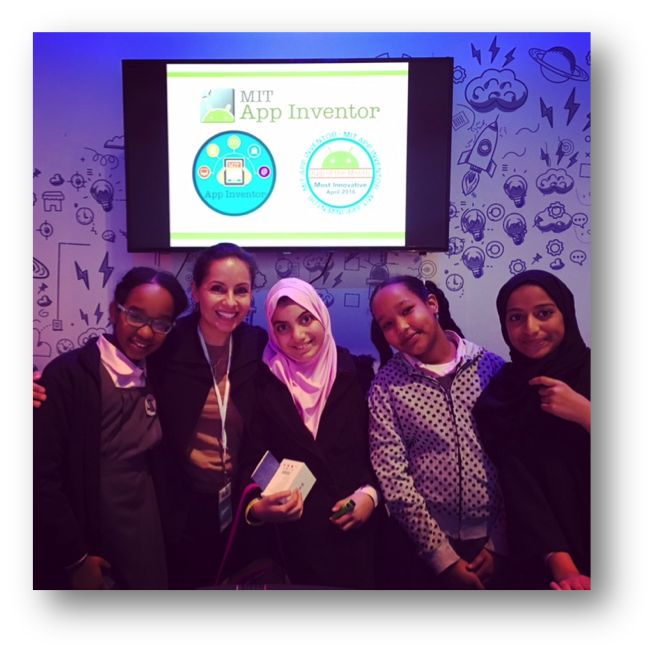 Mentors from the newly formed group, Arab Women in Computing were present to help demonstrate and teach mobile app development with App Inventor. Instruction took place in both English and Arabic. 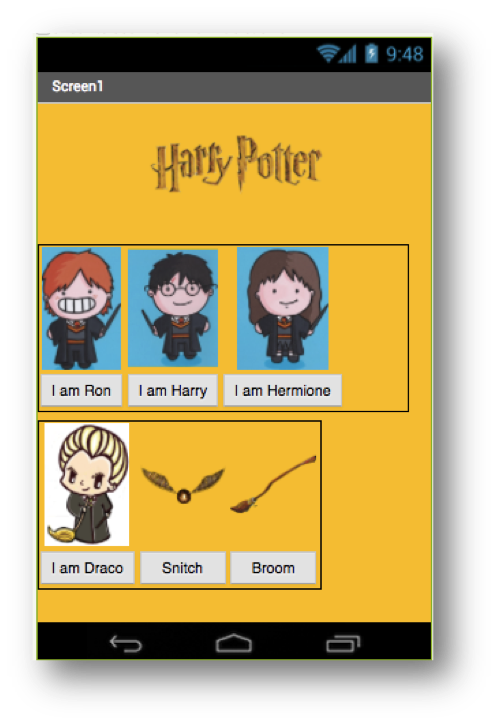 My favorite app that a group of girls created had a Harry Potter theme. Teachers also had their own opportunity to learn, play and discover new digital tools in the Educator Empowerment zone.